One of his ingenious novelties was a pair of skates … Supplied with a pair of these and a violin he mixed in the motley group of one of the celebrated Mrs. Corneily's masquerades at Carlisle House, Soho Square; when, not having provided the means of retarding his velocity, or commanding its direction, he impelled himself against a mirror of more than five hundred pounds value, dashed it to atoms, broke his instrument to pieces and wounded himself most severely. 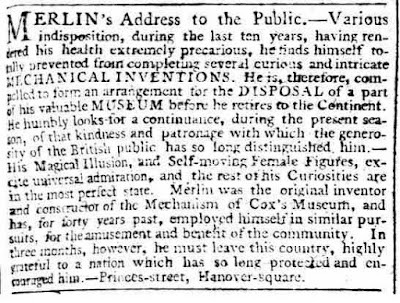 In 1773 he parted company with Cox and set up on his own as maker of mathematical and musical instruments. 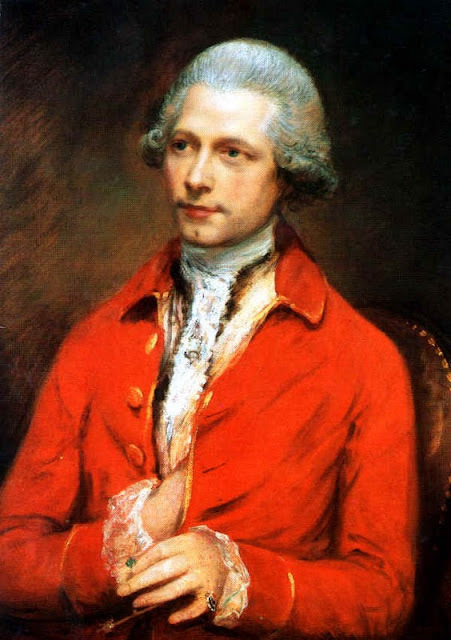 He continued to apply his mind to the invention of novelties and developed ingenious hybrid musical instruments such as an adaptation for a harpsichord which allowed to played as a piano and a combination of the square piano and the organ called the claviorganum. In an advertisement dated 1779 he boasted of “the various instruments and pieces of mechanism, which he has constructed, such as his great collection of Patent Piano Forte, double Bass harpsichords, and portable instruments called Celestinetts, and his new Violins, Tenor and Bass, and improves violins, tenor, and bass, tho’ ever so bad, makes them equal to the best Cremonea.” We know that Merlin’s novel instruments found a commercial market because by the late 1770’s he took a former employee to court for making and selling combined harpsichord piano’s without his permission. 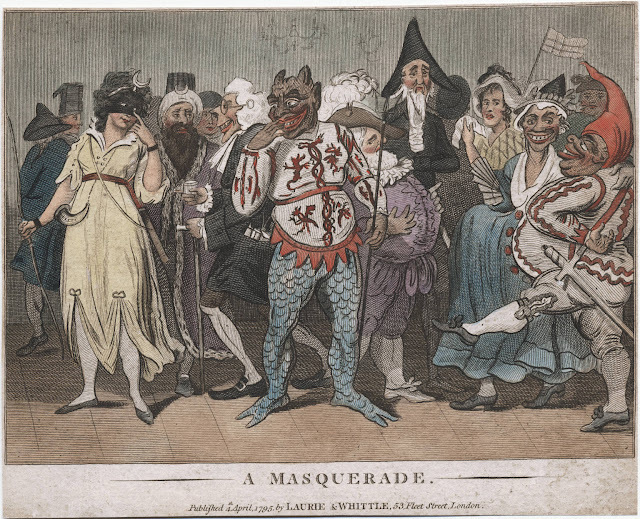 He also found himself in court for having reneged on a deal with a builder to construct a large new house on the corner of Duchess Street and Portland Place. 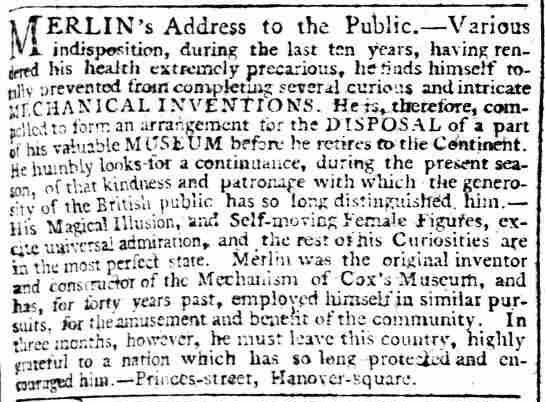 The house was to be built to Merlin’s own design with large show rooms to display his inventions; it was the first hint that he was harbouring ambitions to open his own museum. 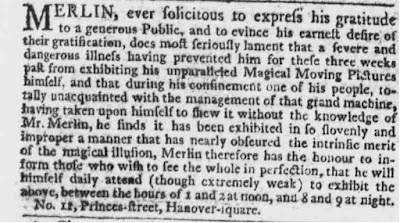 Merlin’s Museum of Musical Instruments and Mechanical Inventions opened for the delight and education of the nobility, gentry and public in Princes Street, Hanover Square in April 1783. For the twenty years Merlin was the proprietor he filled with it with mechanical marvels designed to please the novelty hungry London public. Morning admission, between 11 and 3 cost 2s 6d and evening admission (from 7 until 9, and including tea or coffee) was 3 shillings For this modest fee patrons could admire perpetual motion clocks that required no winding up, watch The Grand Turk or Stone eater consuming artificial stones, marvel at the rotating table which enabled a hostess to fill up to twelve cups of tea without leaving her place or the device to enable blind persons to play cards, be horrified at the Steel Tarantula, view two antique busts by means of which ‘ any person may converse with another without being heard by the company’, see mobile bird cages, listen to musical boxes, try out his patented chair to relieve the pain of gout, and view his automata. These included, according to Charles Babbage who saw them as a young man, 'two uncovered female figures of silver, about twelve inches high' one of which “used an eye-glass occasionally and bowed frequently as if recognizing her acquaintances' and the other ‘an admirable danseuse, with a bird on the forefinger of her right hand, which wagged its tail, flapped its wings and opened its beak.' Merlin was often at hand in person to show off his exhibits and explain how they worked. Merlin was generally thought to have been a life long bachelor but Margaret Debenham in a recent study has shown that this is untrue. 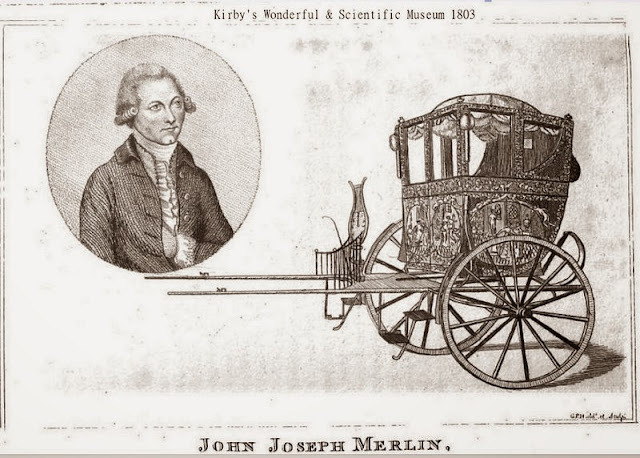 In her research into the dispute between Merlin and the builder of the house on the corner of Duchesse Street and Portland Place she discovered that ‘in the early summer of 1777 they [Merlin and the builder Nicholl] had taken a ride out into the countryside together and chatted about Merlin's forthcoming marriage. According to Nicholl, Merlin had been doubtful that the marriage would take place in time for him to move into the new house that winter. 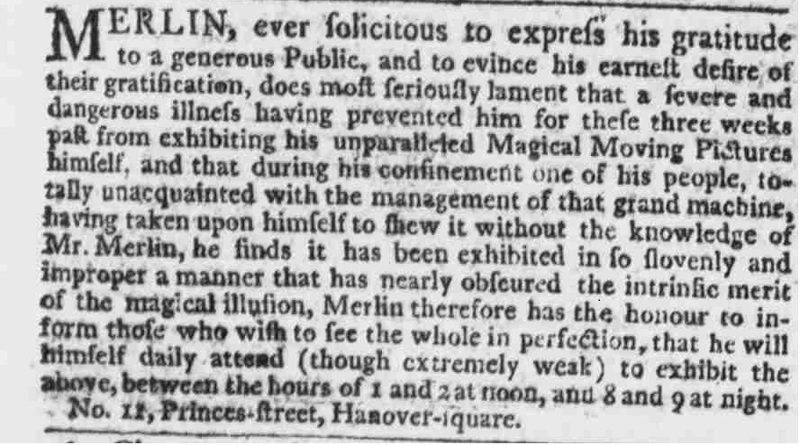 Merlin, on the contrary, protested in his own testimony that he had wanted the house completed as soon as possible in readiness for him and his intended wife.’ Debenham also uncovered marriage records which show that the mechanic married Anne Goulding on 17 September 1783 at St Saviours in Southwark and that the couple had two children, Ann and Joseph. 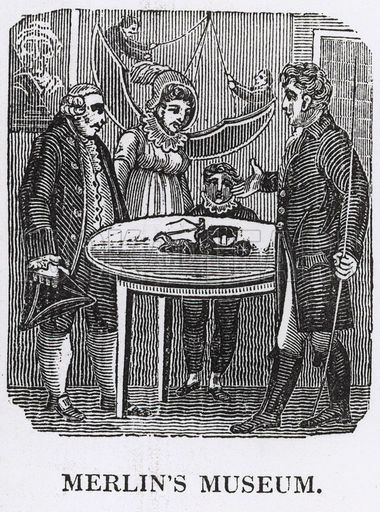 Merlin was left a widower with two relatively young children when Ann died in 1793 and was buried at Christchurch in Southwark.